Guests will be greeted by “Hats off to the Holidays” when they visit Wayne HealthCare, 835 Sweitzer St. in Greenville. Members of the Ladybug Garden Club decorated the front lobby with special snowmen Christmas trees. 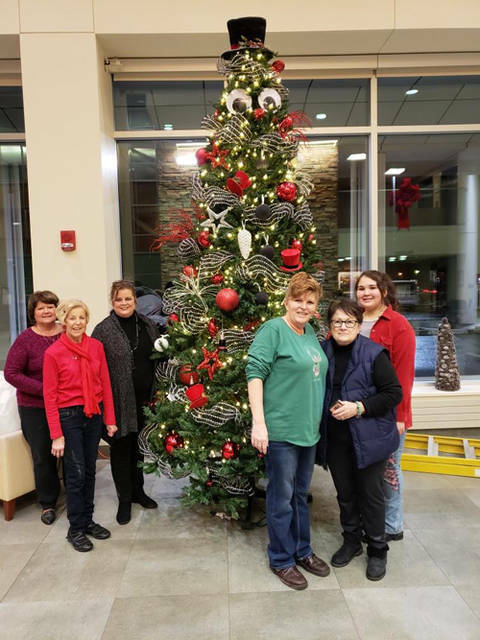 Decorating were (l-r) Carol Hosbrook-Cole, Shirley Linder, Amy Addis, Angela Beumer, Barbra Skinner and Mariana Ramos. Not shown is Irma Heiser.